Note: This post marks the beginning of a new series “Get Started with Sublimation” which will be co-authored by our sublimation expert, Tom Chambers. In this series we will lead you through the steps you need to take to set up your own sublimation shop and will give you tips that will help ensure you get the right equipment and supplies for your needs. 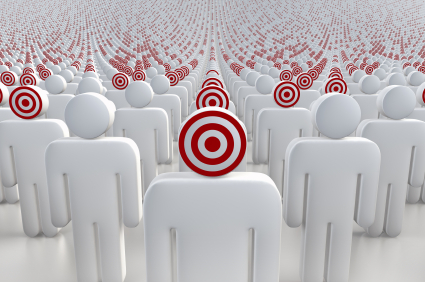 Our first post in this series will deal with determining what customers comprise your target market. Typically, people who consider sublimation fall into two main categories, those who know what their target market is and have a good idea what they want to sell, and those who don’t have that information at hand. Those who do know exactly what their market is and what they plan to offer to that market have only to answer some basic fundamental questions about equipment and they are off and running. Business owners who are not as clear about what they want to do, what products they might like to offer, or what their local market will accept, can follow the same methods, but might have to incorporate a larger degree of flexibility, and a little guesswork to boot. Clearly it pays to have a firm idea of what your target market is and who makes up that market before you start stocking and equipping your sublimation shop. For some people the temptation may be to say that the target market is “everyone”, but that rarely holds true for any business or product. Even if you do have a product with universal appeal, there are probably some segments of the marketplace that will find that product more appealing than other segments will. The trick is to find the segments that want what you have to sell, and target your products and marketing directly to those people. So, when it comes to sublimation, how do you figure out what to sell and to whom you should sell it? Here are a few questions that can help you you make that determination. Question 1: Where are you going to sell? – Are you going to have a brick and mortar store in the town where you live? Do you want to sell your product through a series of web sites? Are you interested in taking your equipment on the road and selling at shows and events? Each of these scenarios could have an effect on who your target market will be as well as on what products you’ll be likely to sell. Question 2: Who will buy your product? – If you’re looking to start a brick and mortar store, investigate the demographics of the surrounding area. Also look at what sort of traffic gets generated in your town, tourists, for instance, may have interest in souvenir products that would not interest the local population. If you want to go to flea markets or track meets or horse shows, ask the producers of the show if they can supply you with demographic information for those who attend. If you want to sell online, do some research to determine what sort of people buy online and what and where they buy most frequently. Doing the research may take some time and work, but it will be invaluable when it comes to deciding what products you’ll sell. Knowing your audience will help make sure that you don’t end up trying to sell air conditioners to Eskimos. Question 3: What do you want to sell? – Now that you know how you’re going to put your product before the customer, and who that customer is, you’re ready to figure out what you want to sell. Determining your product mix really comes down to using the knowledge you gained from answering the first two questions. If, for instance, most of your sales will be made when you travel to horse shows, you probably don’t want to offer a lot of fragile or easily breakable items. If the demographics of the area surrounding your business are mostly young, single surfers, you probably don’t want to sell a lot of baby items. In order to make a profit, you have to sell things that people want to buy. That sounds like a very simple idea, but it’s one that new business owners often overlook. In the next post in the “Get Started with Sublimation” series, we’ll talk about selecting your sublimation printer, which is where building your sublimation shop starts. Good article and look forward to seeing the next one. I plan on doing sublimation for both of my websites, http://www.mwcenterprises.biz (live soon) and http://www.manwhoreapparel.com. Thanks for the read.